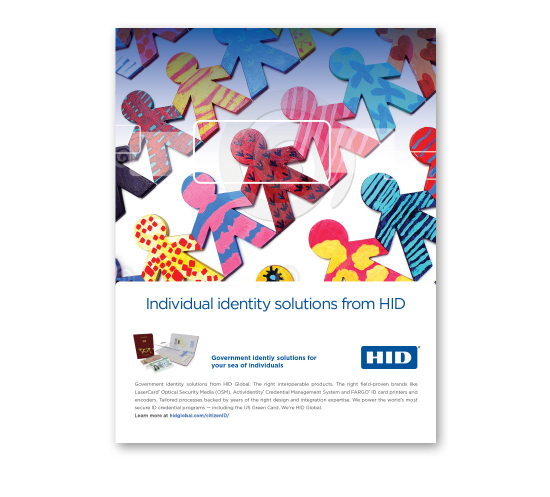 HID Government ID Solutions is a global leader in developing and marketing technologies to positively identify individuals using credentials such as passports and ID cards. 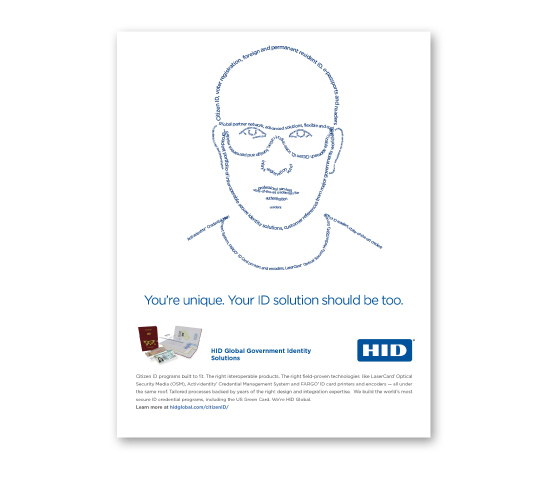 With the acquisition of LaserCard, the company wanted to develop a a new promotional campaign that would capture the challenge of securely and efficiently identifying millions of individuals and convey the unique advantages of HID. Kallidus Group developed a milestone-based Market & Perception study. Using an interview guide developed with the marketing group, key stakeholders were interviewed that probed the strengths of the company, customer perceptions and the competitive landscape. Primary research was also conducted of key competitor’s marketing and positioning. 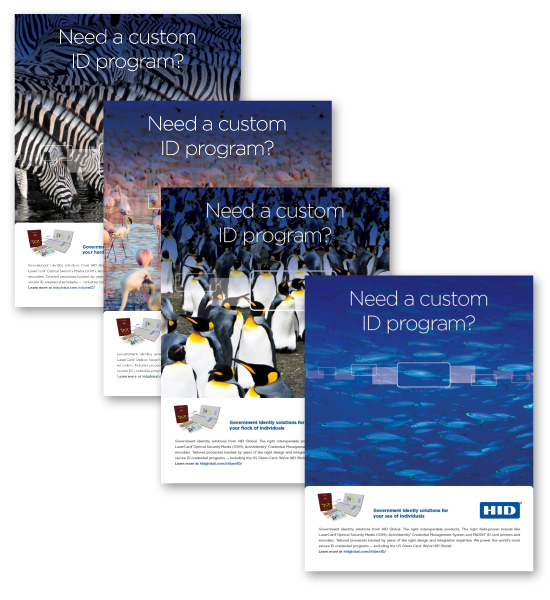 The results were used to develop marketing messages and graphic images for the initial print ad campaign.